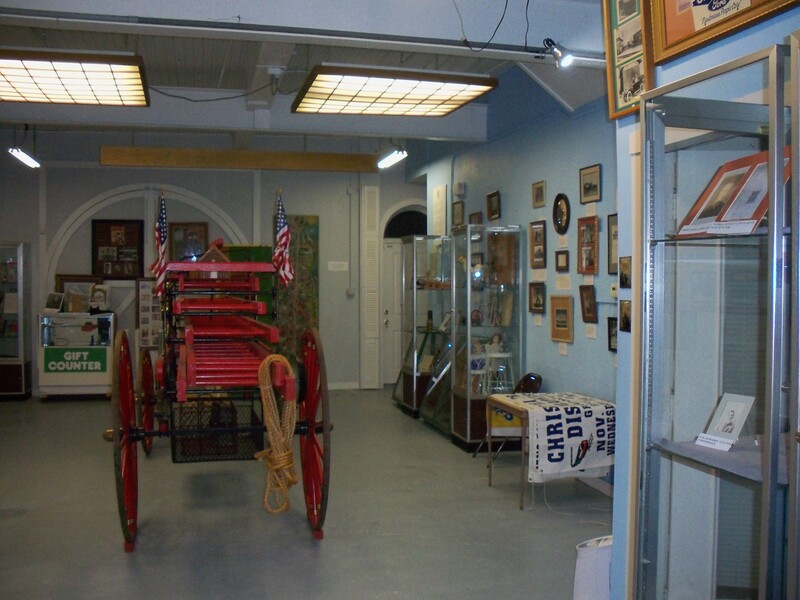 · A psychic had previously reported that there was a spirit of a man named Joe on the property. 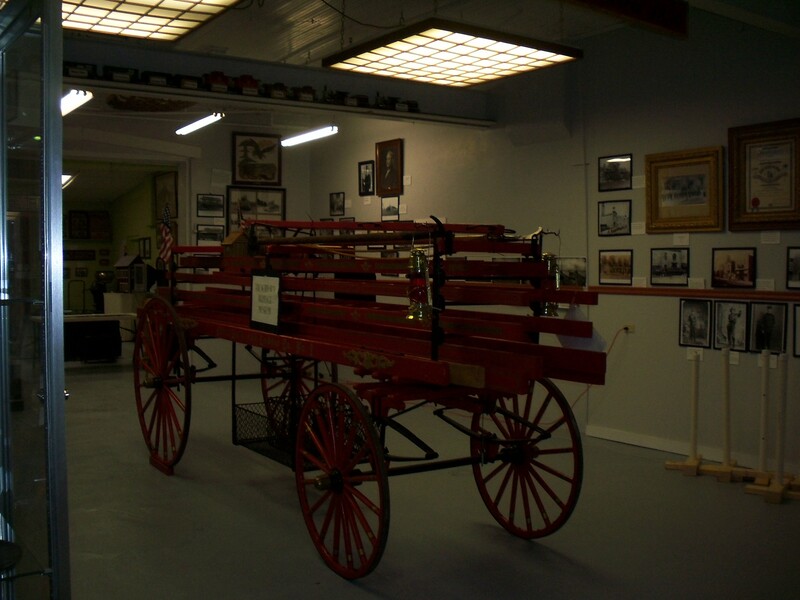 The museum director was told that Joe died on the site before the current building existed. This supposedly happened in what was a boarding house in the 1860s during the civil war. The museum director cannot find any records to back this up. It is unknown if anyone else died in the current building, which was built in 1880. · Reports include hearing “light footsteps” or the sounds of “things dropping on the floor” from above. Could also sound like doors shutting. No activity reported on the main level. After leaving the museum we learned that there was an earthquake at 10:53pm our time and centered in Oklahoma. Some residents in Missouri claimed to have felt the quake. We didn’t notice anything unusual from any of our video footage or other evidence from that time. 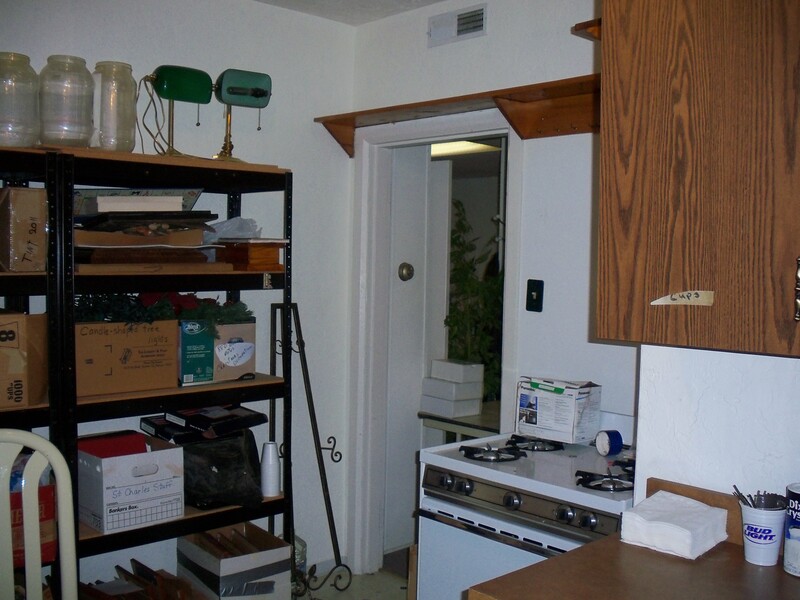 During Pre-Investigation Norman thought he may have heard a voice in Location 3. There were no audio recorders or cameras running upstairs at that moment. At the beginning of the investigation we introduced ourselves and immediately heard the creaking, pops, and footstep-like sounds coming from above. We are still very curious as to what causes these sounds. We didn’t really hear them like this at any other time in the evening. At first we suggest it could be the wind. 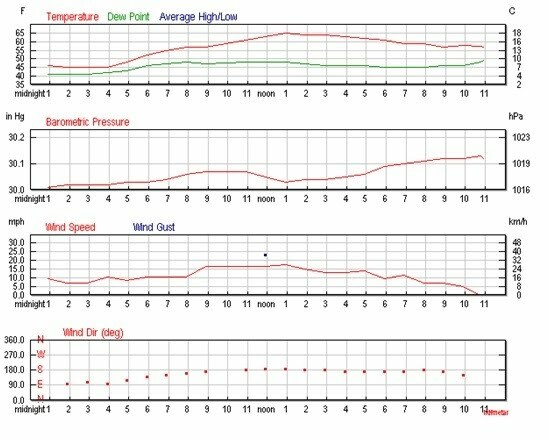 As is noted earlier in this report, according to weatherunderground.com the wind at that approximate time was blowing SSE at 10.4 miles per hour. 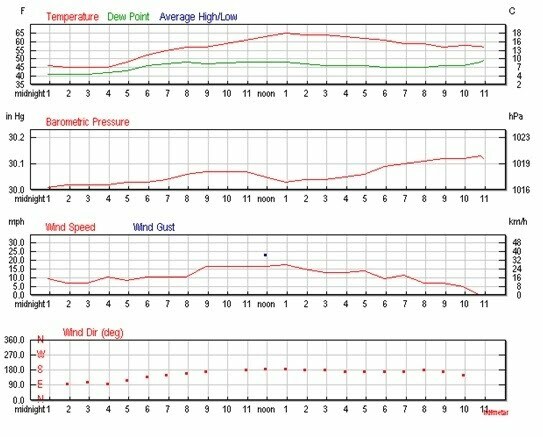 If you look at the chart, it wasn’t the strongest wind from that evening, but it does start to die down at around midnight. Conditions were described as “clear”. We asked several questions. I also asked for any entity to approach Casey and her Mel Meter to try to make her readings go up or down. Casey noted that it went up to a .7mG. It’s not clear what it was before. The popping and creaking from above continued during this whole time. Norman mentioned that sometimes the creaking just sounds like creaking but sometimes it sounds similar to footsteps. I noted that it sounded like it was coming from the floor. How does the wind make the floor creak? Casey noted that it sounded like it was going from one side of the building to the other. Norman agreed. At around 8:55pm I tried to communicate with any entity upstairs and for a short time the sounds seemed to stop, but then they started up again. I asked if they could stomp or make a loud noise. There were noises but no way to know if they were responses to my questions or not. I decided we needed to go ahead and head upstairs and while I was talking Casey and Norman claimed to hear two faint knocks coming from above. It doesn’t seem to be picked up over my talking. I had just asked if whoever was upstairs could knock on something. I made note that I just got chills. The video and audio clip below recorded all of the activities described above. We decide to head upstairs. We stayed in one place in Location 3 and kept quiet to see if we could hear where the noises or creaks were coming from. Norman said he could hear wind blowing in but he couldn’t feel it. It was very quiet compared to downstairs. We placed the K-II meter out in the center of the floor to see if we could get any responses. There were none. At 9:01pm Casey said her temperature readings were dropping. She said she went from 72 ̊F to 67.7 ̊ F. The EMF was at .2mG. We asked for whoever was with us to make Casey’s temperature get lower. The lowest that was reported was 67.5 ̊F. At 9:10pm I decided to go downstairs while Casey and Norman were upstairs. I wanted to see if I could still hear the creaking noise while they were sitting still. I did not hear what we were hearing earlier in the investigation downstairs. Later I mentioned that I may have heard a few popping sounds but nothing like before. When Norman started walking from Location 3D to Location 3A I heard the footsteps, but they were different sounds from what we heard earlier. They were heavier in general. Casey then took a different path while I was downstairs listening. I described what I was hearing as a shoe clearly hitting the ground and more of a creaking sound, rather than the pops and snaps we were hearing earlier. I did not have a video camera or audio recorder with me downstairs as they walked, but from the following video you can follow our test and see and hear their steps from upstairs. At 9:15pm we made a visit to Location 3A. We discussed the electrical box in the corner of the room and tried to figure out what it was. It really didn’t have a very high EMF reading. It said “Temporary” something on the box. Norman said it may be a junction box. Casey noted that Location 3A had so much going on earlier and now the EMF was reading a flat 0mG. It was a .6 or .7mG as she first came in. Norman’s EMF detector read a .1mG. At 9:20pm Casey and I move into Location 3B while Norman stayed out in Location 3. I reported hearing scraping noises and wondered if it was Norman outside the room. We decided it wasn’t. I mentioned thinking it was outside or in the wall somewhere. Norman reported hearing a sound that I believe was probably car speakers from outside the building somewhere. You can hear it softly in the audio and then all of a sudden a car pulls away. Casey’s Mel Meter was jumping all over the place while she was just standing in one location. At 9:29pm Casey and I move into Location 3C. I think Norman stayed in Location 3D. The temperature was two degrees warmer in this room. At 9:34pm I moved into Location 3D. Norman and Casey stayed out in Location 3. 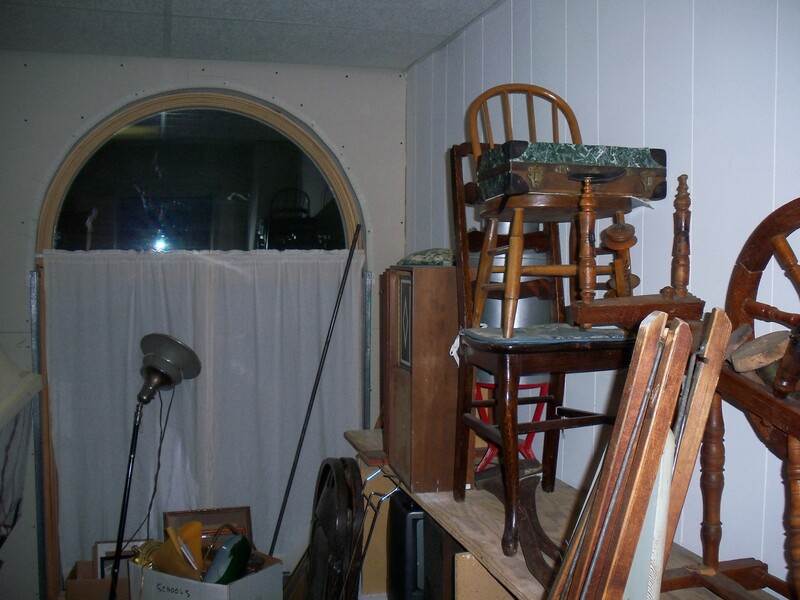 Linda mentioned she heard occasional footsteps from us as we investigated upstairs. She was in command central. At 9:41pm I radioed Linda and told her that I had just grounded, centered, and asked my spirit guide to help bring any spirits present forward. I asked her if she would do the same. At about the same time Casey said she thought she heard a click right before I radioed Linda. Casey was the only one who heard it. At 9:43pm Norman asked for any entity present to finish “Shave & a Haircut”. No response. He tried again and there was one knock in response. It is heard very softly in the back of the audio. He tries one last time and gets no response. At 9:52pm we decided to head back downstairs. The electrical box in the main museum room at its highest was 4.3mG. Norman claims it was giving off a 12mG reading earlier. We noticed that during the time we had been back downstairs there had been no sounds from above like we heard earlier. We took a short break and then at 10:47pm continued our investigation and moved to Location 2. The heat was on when we started back up and then turned off. The temperature was 72.2 ̊F after the heat shut off. The EMF was .0 and .1mG. 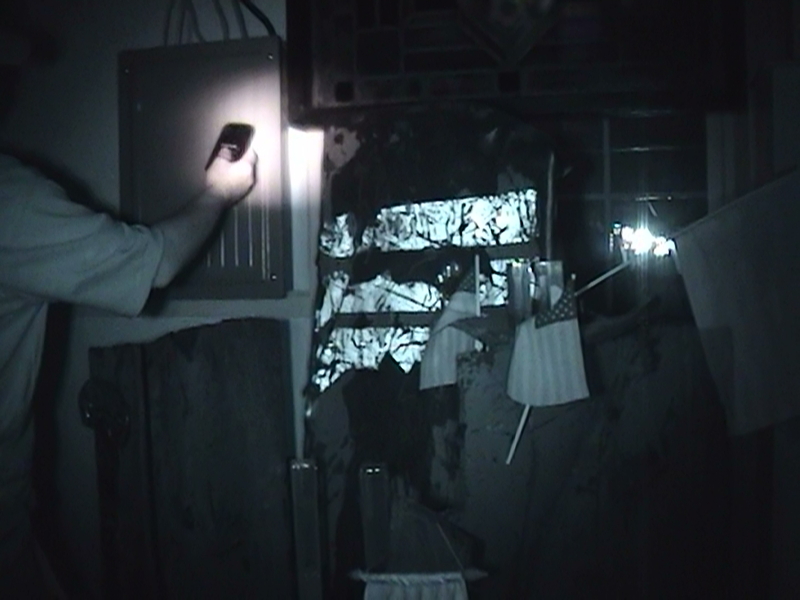 Norman said he was hearing what seemed to sound like what we were hearing from above when we started the investigation. I stated that what I was hearing (taps) at that moment seemed to come from the wall with all the windows. Norman also heard heavy vent noises. I made a note that the EMF in general had been calmer in Location 2. No sooner had I said that and the Mel Meter started bouncing all over the place with no explanation. It is a good example of the kind of erratic EMF readings we were getting all night long. Below is a video clip of that experience. Also at the end of the clip, at 10:57pm Norman and I heard a knock and it is picked up in the video. Below is the audio clip of the knock. 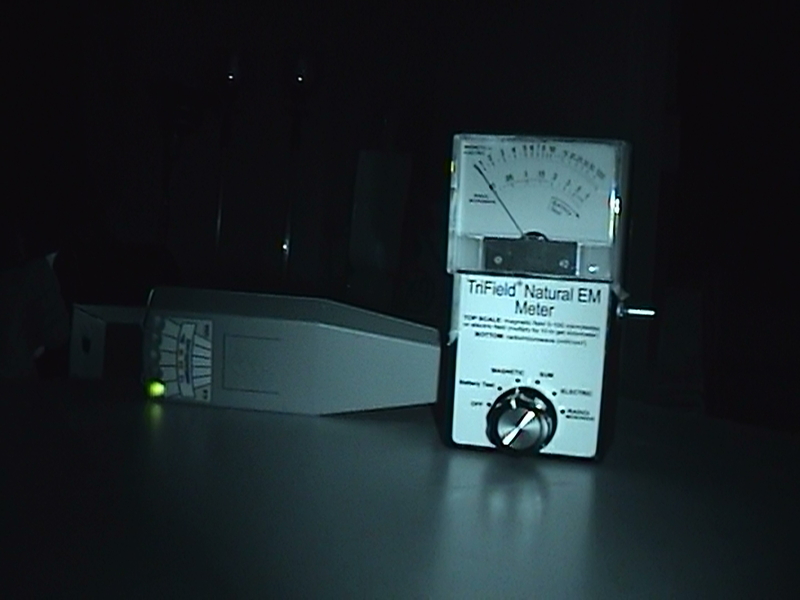 Right after the knock the EMF stayed steady at a .2 and a .1mG. The temperature was 71 ̊F. When we returned to the main museum room it was pretty quiet. Location 2 seemed to have its own noises. We made a quick stop into command central to grab a battery and some headsets for Norman. I noticed my Mel Meter spiking at a .8mG going through the doorway into command central. When I came back through again it was a .2mG. This is just another example of inconsistent EMF readings. At 11:04pm we sat in the main museum room again to listen to the surroundings. I all of a sudden notice the ticking from a clock coming from somewhere. I didn’t notice it before. I then notice EMF readings of .5, .4, .6mG, etc. Casey at one point smelled burning leaves for just a second. Then it was gone. She then found a vent and thought possibly she could have smelled something coming in from outside. When she smelled it she was standing right where the main museum room connects with Location 2. Norman checked out the closet under the steps. At 11:20pm we decided to head back upstairs again. At 11:23pm I took one of the audio recorders back down to the main museum room to record Norman and Casey’s footsteps from above. Below are clips from both upstairs and downstairs at that moment. After I made it back upstairs we discussed what could possibly be making noises that sound like doors shutting or things dropping. The door to Location 3A could very easily slam if there was a draft or any kind of suction coming through. It takes nothing to move it. While experimenting with the door we heard faint noises in the background. Casey mentioned hearing something coming from downstairs. It isn’t clear if one of those sounds is what she heard. Linda did not hear it downstairs. She heard us slamming the door though, so maybe it would have been hard to hear. Below is a video and audio clip of that experience. Location 3D doesn’t have a door. The other two doors are blocked and can’t close. A few minutes later Linda radioed to ask if we slammed a door or something. We had not. Right before that Norman tried to get a knocking response to “Shave & and Haircut” so apparently it was loud enough to be heard downstairs and in command central. 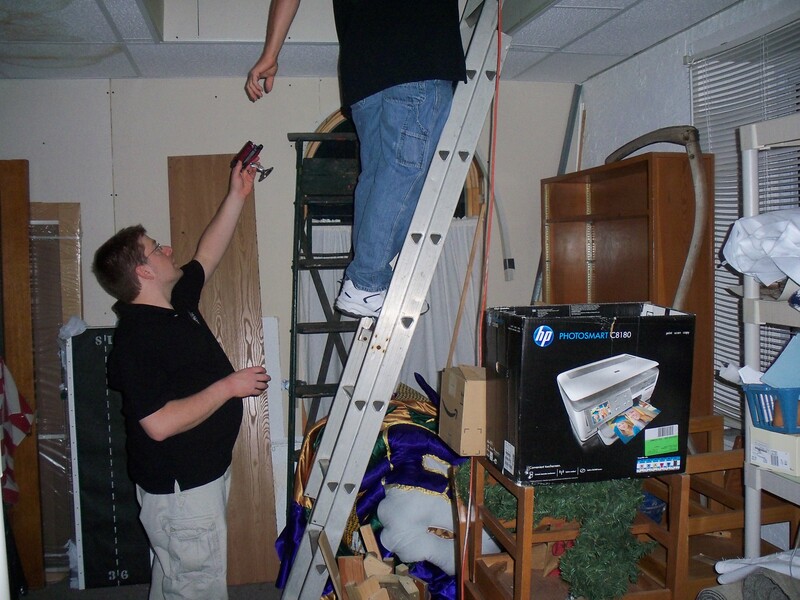 At 12:01am we decided to leave the camcorder, a K-II and Trifield meter placed in front of it, and an audio recorder on the table in Location 3 and then head downstairs to command central. The camcorder battery had about 44 minutes remaining. There were no spikes and no activity from the Trifield or K-II meter the entire time. The following unidentified sound is a possible EVP from upstairs at 12:07am while investigators were taking a break downstairs in command central. You can hear investigators softly off in the distance. A tap or pop at 12:16am while investigators were still downstairs. Another tap or pop at 12:30am while investigators were still downstairs. At 12:41am Casey & I came back upstairs. At 12:44am we again left an audio recorder upstairs in Location 3 and decided to sit and listen downstairs in the main museum room. It is pretty quiet in the audio. No snaps, pops, creaks, or anything. At 12:57am while sitting downstairs in the main museum room, Norman asked “Would you like to be called Joseph or Jo Jo?” Casey heard a higher pitch sound in response. No one else claimed to hear it, but the TASCAM caught it. It was not picked up in the Sony PX-820. At approximately 1:01am you can hear 10 rings of the church bells in the upstairs audio recorder just before Casey and I went back upstairs for the last time. The recorder was by itself upstairs on the table in Location 3 while the rest of us were downstairs in the main museum room. No one mentioned hearing the bells. And why 10 rings at the 1am hour? The only other evidence we have of church bells ringing is from the Location 3D camcorder. See the end of this report for more on the church bells. 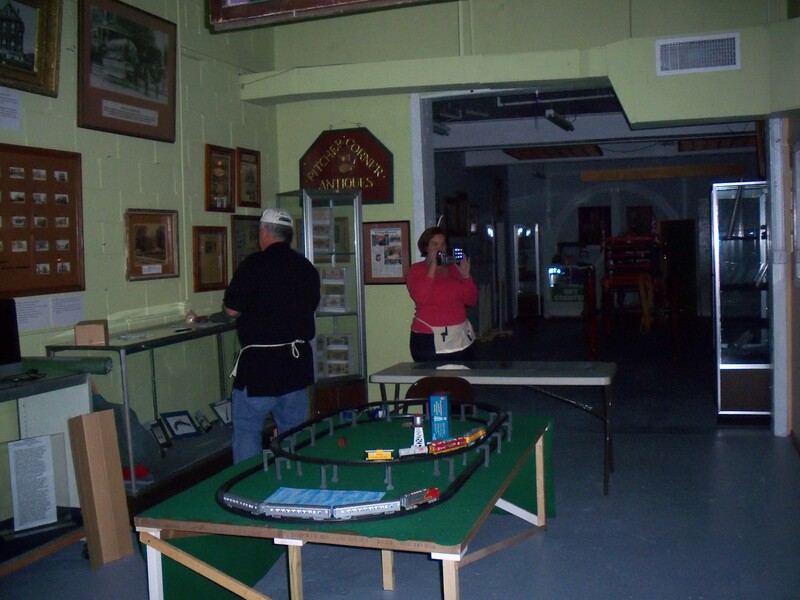 At 1:04am Casey and I went back upstairs for our last visit while Norman stayed in the main museum room. At 1:06am I dropped my flashlight and it sounded incredibly loud from below. I was changing the tape when I dropped the flashlight so it isn’t caught on video from upstairs. At 1:12am you can hear a click somewhere upstairs. Casey and I both heard it. It wasn’t picked up in the camcorder. At about 1:20am Norman is still downstairs in the main museum room while Casey and I are upstairs. He told me to drop my flashlight. He said it sounded like I dropped a bowling ball. Audio Evidence: 11-5-11-27AUD (original, unedited audio from the audio recorder with Norman downstairs. At about 1:25am I knock on the wall to see what it sounds like downstairs. 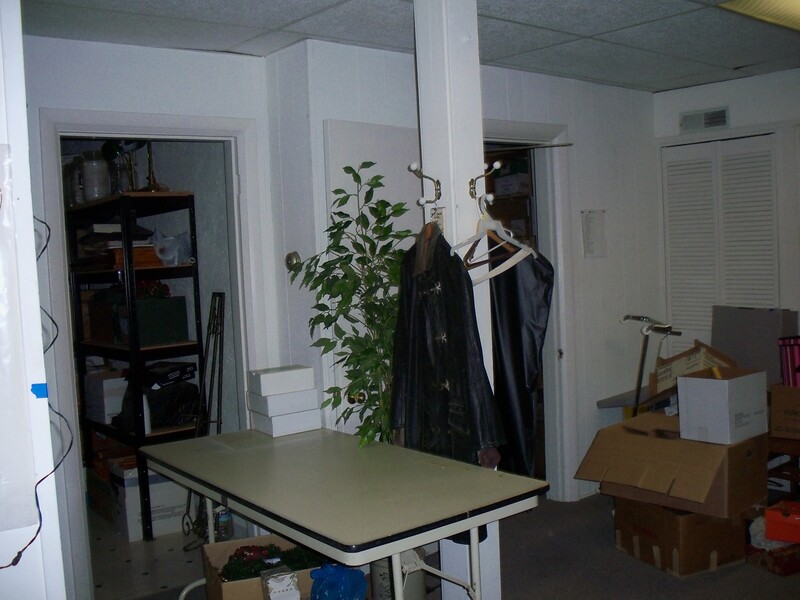 At 1:29am Norman decided to investigate the store rooms behind Command Central and opened up the store room door. Soon after, I radioed to ask if anyone heard a bell and described it as a “bing bong”. To me it sounded like an old door bell. Casey did not hear it. Norman’s initial response did not go through the radio so we didn’t hear it upstairs and you won’t hear it in the video. He didn’t hear the sound of the bell, but he opened the door a second to see if we heard it again upstairs. No one said anything because we didn’t know that’s what he was doing. Due to privacy reasons the audio from Norman's digital recorder is not included in this online report. The bell wasn’t picked up in the Sony PX-820 digital audio recorder or the Camcorder that was with me and Casey upstairs. Below are just a few of the events recorded by our Location 3A Camcorder. 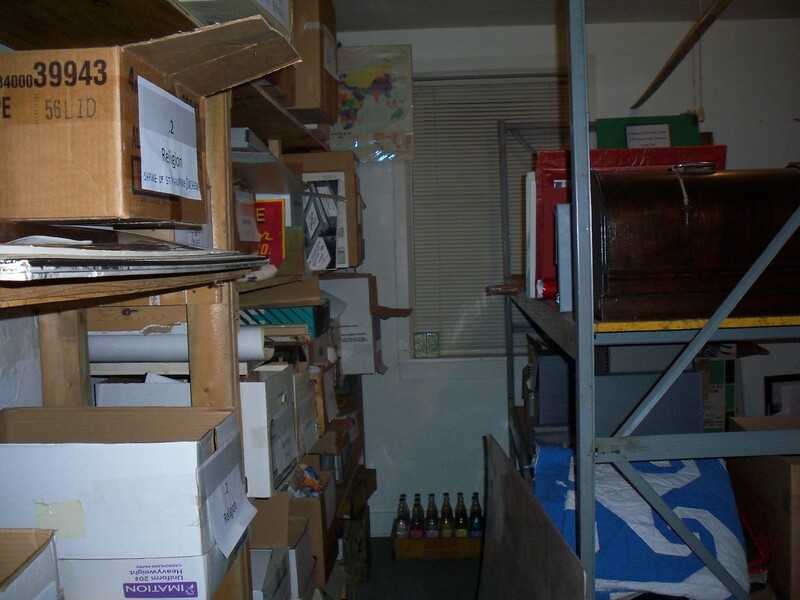 Many of the files are similar and so not all are included in this online report. The camcorder was turned on at 8:38pm. At around 8:45pm you can hear some noise in the background pretty close by. I’m not sure what was going on then but I don’t believe anyone was upstairs. At around 8:59 or 9pm you can hear 6 or 7 rings of the church bells mixed in with some emergency vehicle sirens. Investigators are upstairs investigating in the background and do not hear it. We have several examples of this. Sometimes you hear the bells as if counting hours, sometimes you hear a melody or portions of a melody. Sometimes the ringing is clear and other times more faint. No investigators ever heard the bell and the number of rings never match the time stamp from that evening. At 10:55pm a new noise presents itself. It sounds close to the camera. It sounds as if someone is in the room. Within a minute or two of this time period is when Norman and I hear a knock downstairs while investigating Location 2. That evidence is listed earlier in this report. · I like to document anything and everything that could be useful now or in the future in determining what, if any, activity is going on in a location. There are a lot of audio clips and videos, but really there are just a few things that stand out as being significant. The snaps, pops, and footstep-like noises that were heard from above when we were in the main museum room still have me confused. Also, there are a few audio clips or possible EVPs that I think are important (15AUD, 16AUD, 17AUD,20AUD, 21AUD, 50CAM). · The Church Bells – Why didn't we hear them? And why does there seem to be no rhyme or reason to the melodies or number of rings? 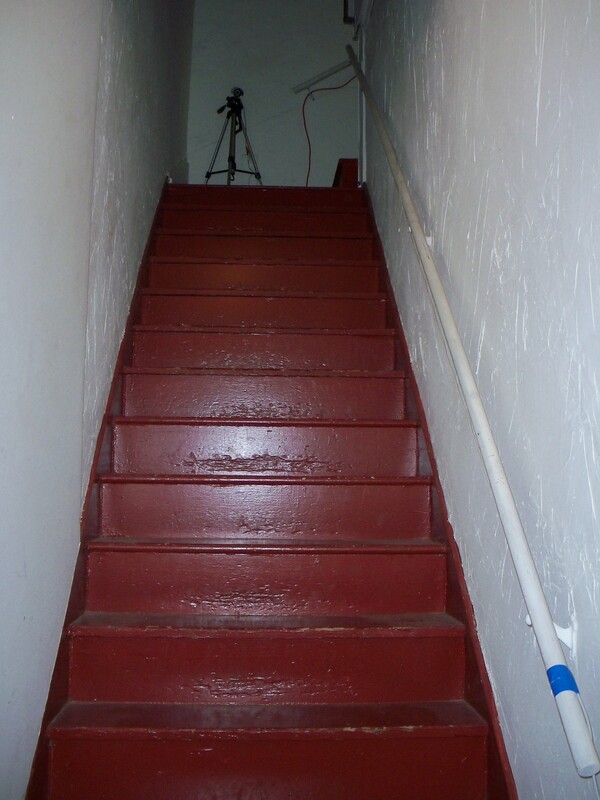 · The electromagnetic field (EMF) in general is incredibly inconsistent, especially downstairs. A lot more time would be needed to accurately map out and determine exactly why this is so. In general, manmade energy or electricity should be steady and should not change from one time to the next in one location. 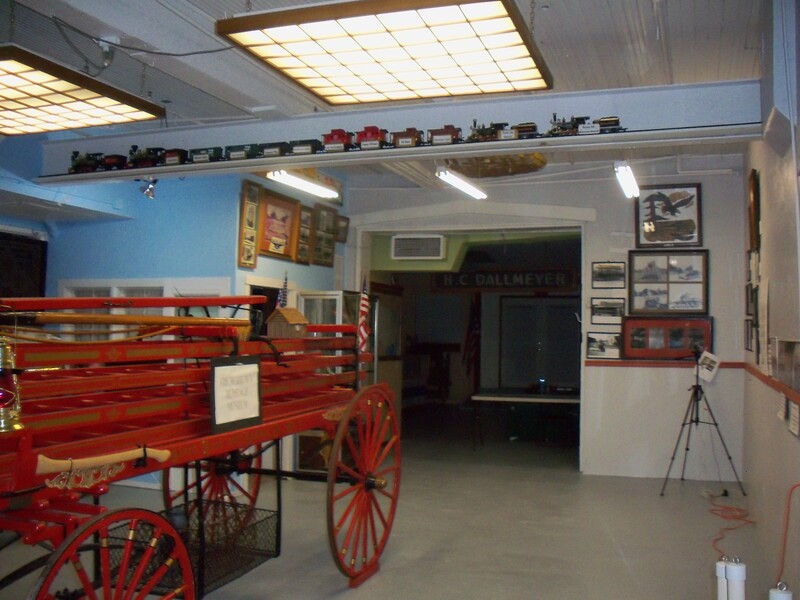 A great example of this is the entryway to the main museum room from the office or what we used as command central. Every time we walked through with a meter we got a different reading. With that being said, I am not ready to say that any of our EMF readings from this investigation are due to anything paranormal.